‘Baby Guerrilla’ is the recipient of their inaugural art prize, Two Years on the Wall. 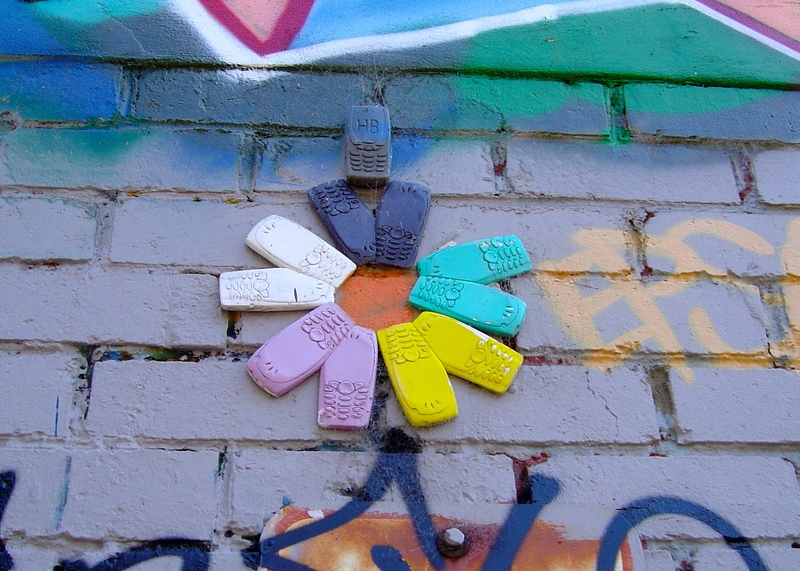 Two Years on the Wall is a $9000 prize biennial art competition for emerging artists working in mural designs. The winner has their work on the feature wall space at Union Dining Terrace where their work will be displayed for two years, receives a $7500 monetary prize from sponsor TarraWarra Estate and a $1500 celebratory dinner at Union Dining. The restaurant, Union Dining is located in the heritage-listed ‘Union House’ in Richmond. “The piece I have done for Union Dining Terrace is influenced by life and people around me, as is all my work. The eagle to me represents life, it’s so quick, it’s cruel, but it’s beautiful. I’m the women in the picture, most certainly, but I really trust my subconscious and work very instinctively, so it’s then hard to put into words what the work means to me,” Baby Guerrilla comments on her winning entry. 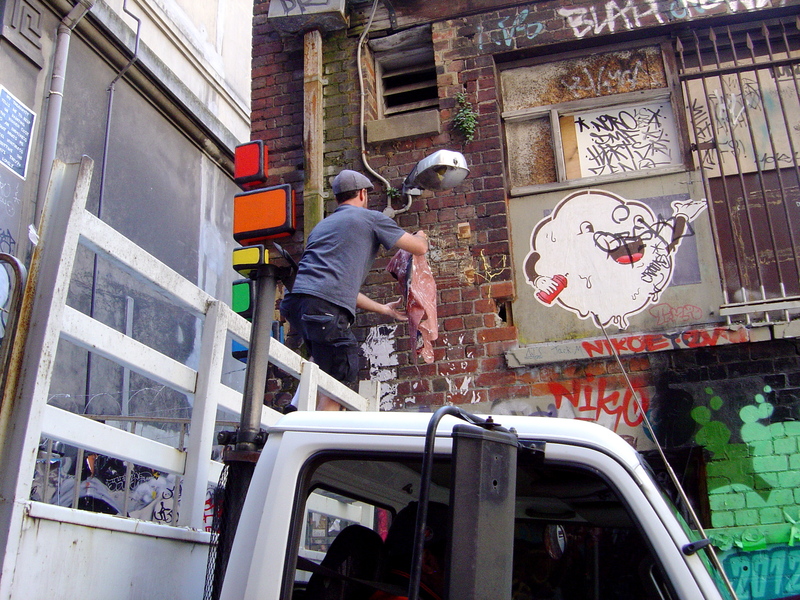 Two Years on the Wall is not exclusively a prize for street art but street artists have an advantage because of their experience with wall pieces. So it is not a surprise that it’s first winner is a person whose work has spanned both the galleries and streets. 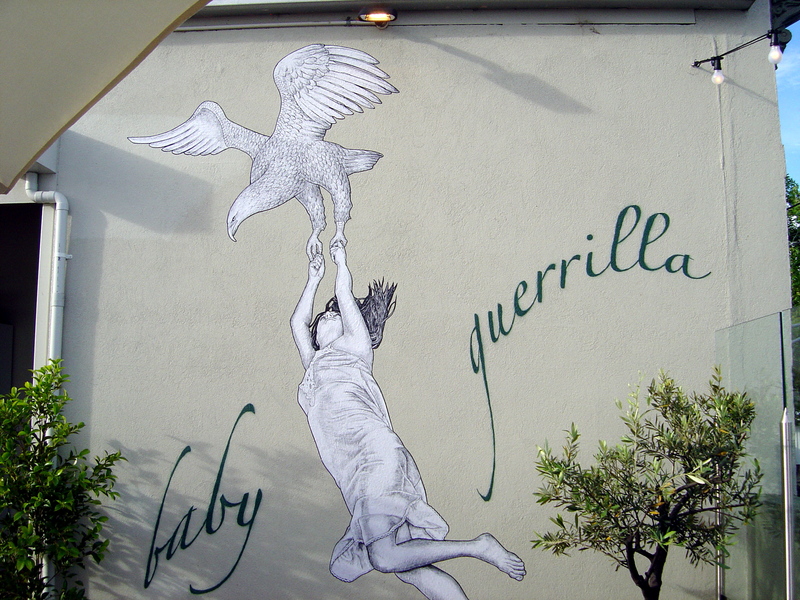 Baby Guerrilla is best known for her paste-ups of floating figures high up on walls. 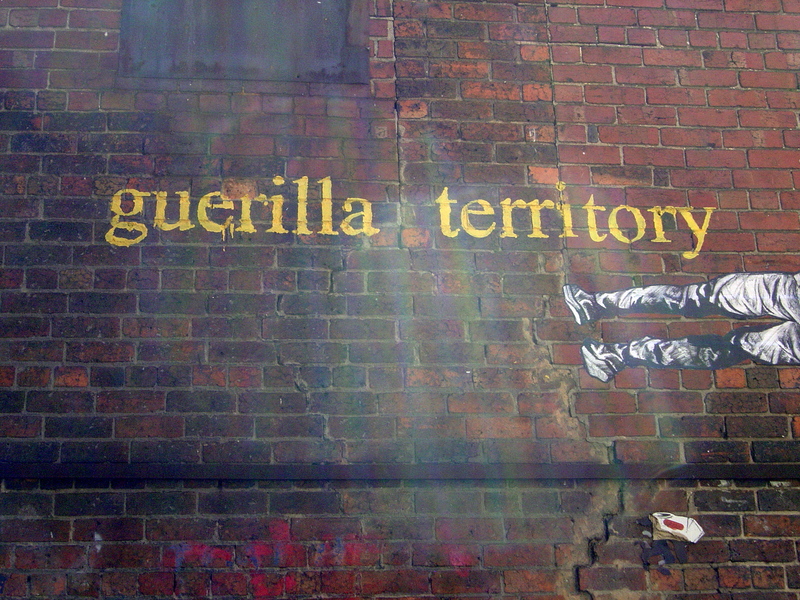 I’ve been watching guerrilla territory for years growing on the walls of the city, Fitzroy and Brunswick. I had seen her paintings on exhibition at the City Library and so in 2010 I knew where the illustrations that started being pasted up around Melbourne’s laneways came from. I had been impressed with her early figurative paintings; her painting was good but her subject matter with references to genetic modification was a bit odd. Still there was the image of floating figure of a woman in the exhibition that is now the central to her work. 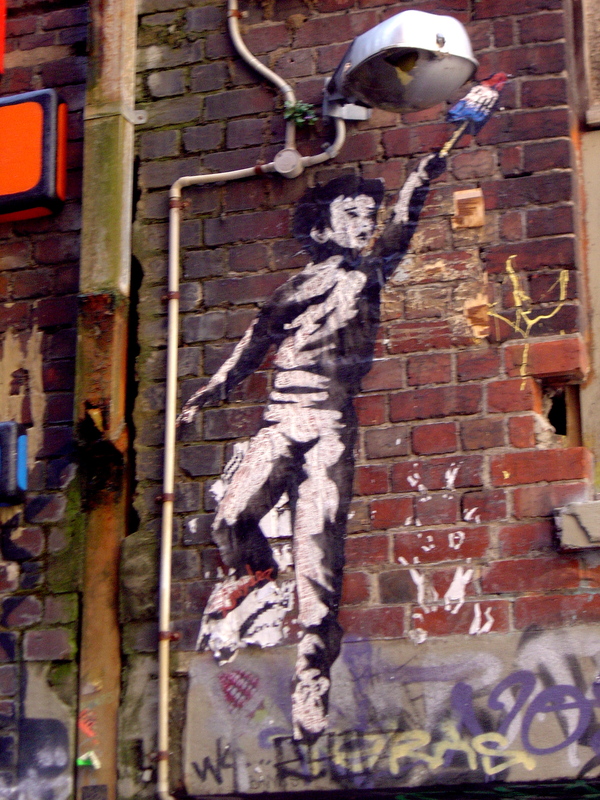 Her early paste-ups were very “toy” both in the graffiti sense of the word, as in, someone toying at the scene, and in toy scale: “my first ‘paste-ups were tiny, about 20 cm long”. At the time Baby Guerrilla had her studio at Blender Studios. 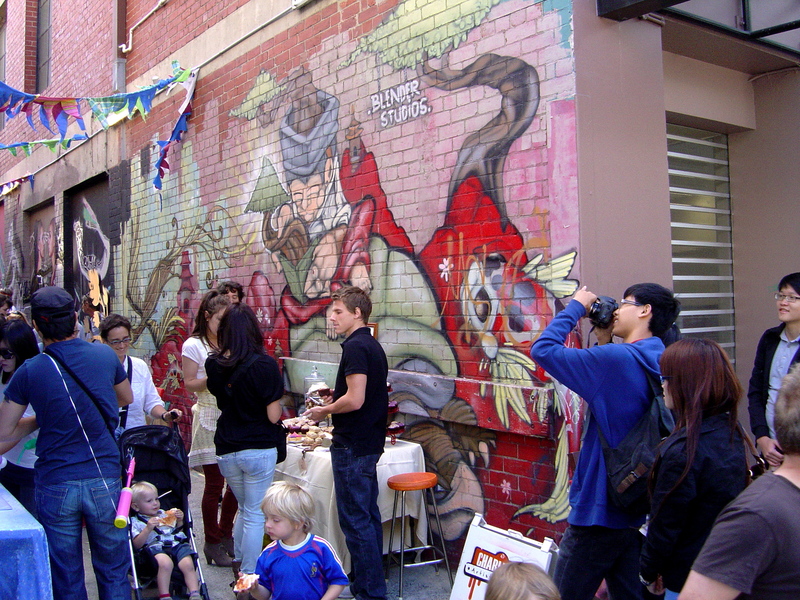 And as Blender Studios maintains a mix of gallery and street artists had lots of contact with Melbourne street artists and lots of encouragement to work on the streets. Baby Guerrilla persevered working in the streets; she increased the scale of the figures and was much more daring in positioning her figures high up the wall. (There is a formula here kids – keep working on an image and do it large.) But what really makes the art of Baby Guerrilla is the image that her art presents of a Nietzschean avant-garde artist, full of the will to transfigure the city, bravado, adventure, fearless and indifferent to life or death. 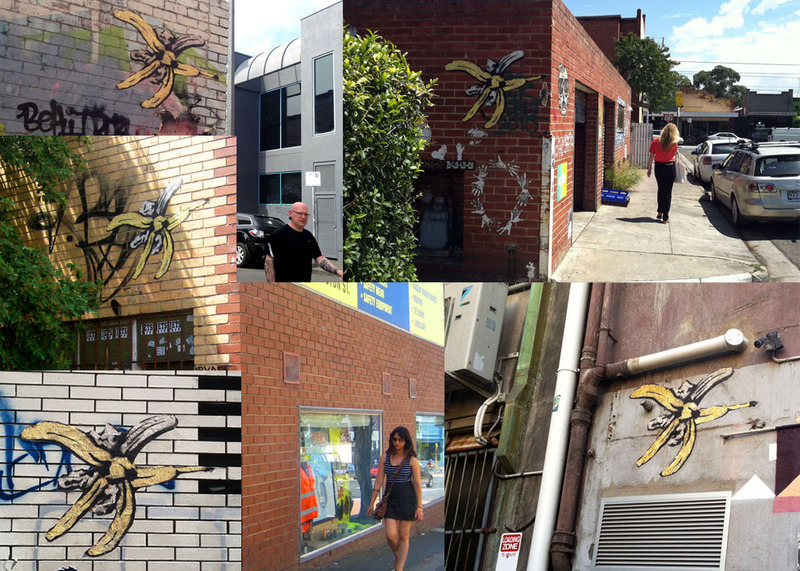 Baby Guerrilla’s prize win is part of a trend of street artists winning mainstream art prizes or at least being in the prize exhibition, like E.L.K.’s entry in the Archibald prize last year. Conspiracy theories are kind of scary; like when Regan offers to fill a data stick with conspiracy theory stuff the quantity alone is scary. So I unwrapped and read The Conspiracy of HaHa with some trepidation and I was relieved to find that the The Conspiracy of HaHa was more illuminutty than illuminati. A good laugh is better than a good conspiracy. Coincidentally I have been reading Umberto Eco Foucault’s Pendulum (1989) – the ultimate conspiracy theory book (aside from Robert Anton Wilson’s Illuminati series). The Conspiracy of HaHa is an illustrated book by Kieran Mangan and Regan Tamanui (Silent Army, 2011). The comics vary from Kieran Mangan’s multi and single panel cartoons featuring HaHa as the main character to the punk cartoon scribbles by HaHa featuring Braddock as the main character. As each artist takes turns to take the piss out of the other. The book has a limited print run of only 200 editions as Regan wanted to keep it exclusive. Exclusive or not it is being merchandised with images from the book on t-shirts and badges available at the Blender Artist’s Market on Saturday. Doyle, the manager of Blender and Dark Horse Experiment appears as a cartoon character in The Conspiracy of HaHa as bathos, he is the abrupt appearance of the commonplace. When I last saw Doyle he asked me why I don’t write about Dark Horse Experiment more? Does he think that I’m part of a conspiracy to ignore him – no; he just wants more online exposure. Then he tells me that inspired by suburban dreams of fame is working on his reality TV show and shows me a rough edit on Vimeo. Reality TV makes UFO conspiracies comforting. I started to think that I had ignored the connection between comics and street art for too long. Sure I’ve seen all the cartoon characters on the walls but I had thought of them as pop references rather than statements of ambitions. So I while I was at the Blender Artist’s Market I bought a copy of the first issue of Dailies (also from Silent Army), a magazine of comics and illustrations by local artists printed on newsprint in tabloid format. I like the old fashioned style of cartoons on newsprint. 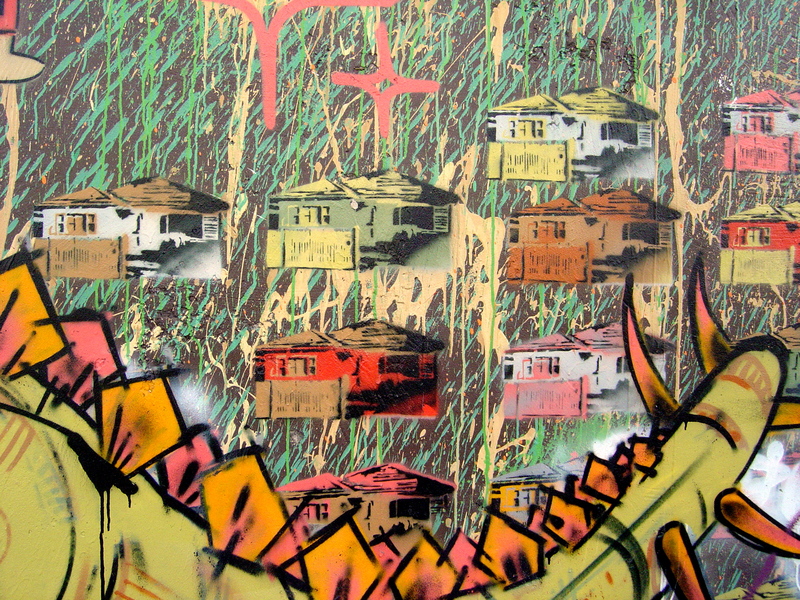 There are pieces by many notable Melbourne street artists: Heesco, Civil, Shida, Ha-Ha, Baby Guerralla, Psalm, Kieran Mangan… to name but a few. Along with many other Melbourne cartoonists: Bernard Caleo, Jo Waite (to be expected) and Michael Managhetti (surprising as he does performance art). During the year I have reviewed about 70 different galleries (only about 30% of the total number of galleries in Melbourne) and even more exhibitions. I have tried not to have a favourite gallery; I have tried (unsuccessfully) not to review the same gallery or artist more than once. 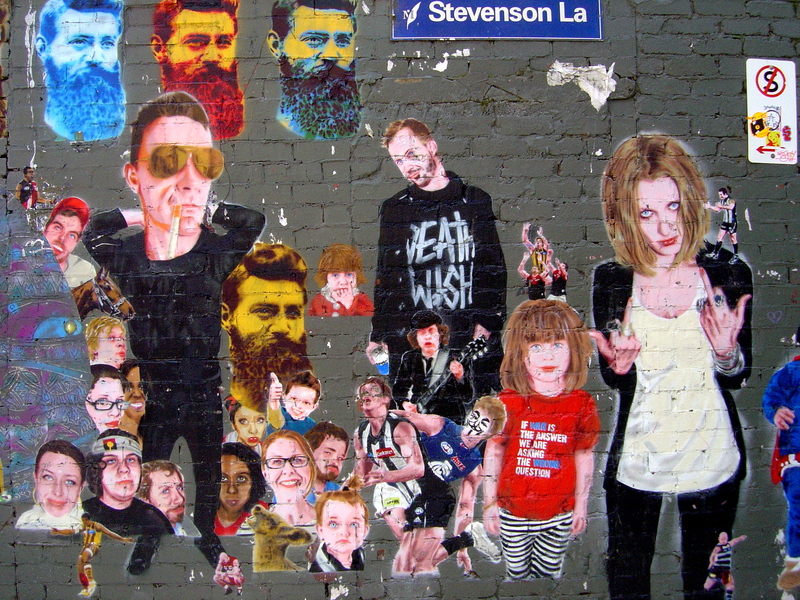 And there are more to see and write about than just art exhibitions; there is the street art, fashion and other aspects of Melbourne’s culture. 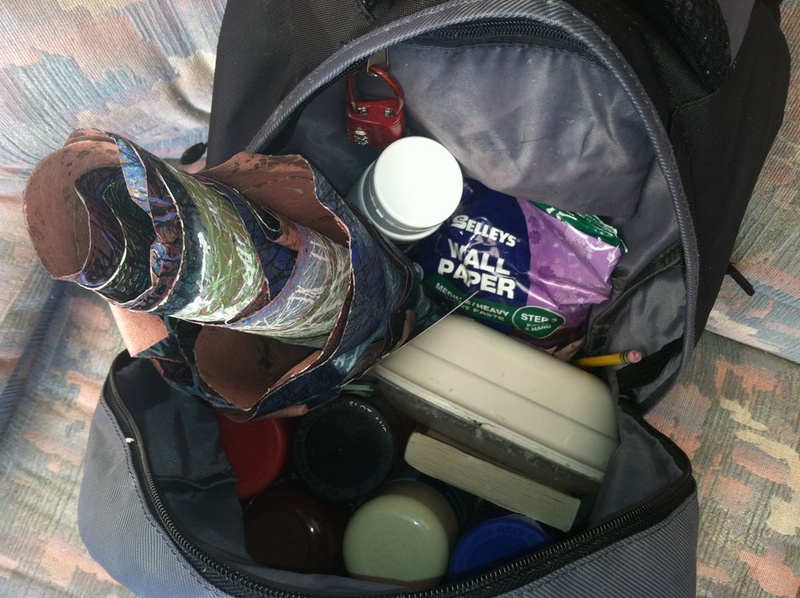 It is an exhausting activity, all this writing and research – it is sort of masochistic. So I can understand why Deidre Carmichael has decided to stop writing the Art in Geelong blog at the end of this year. It is almost exhausting just reading and looking at what Arty Graffarti and Melbourne Street Art on Facebook add daily. Both have plenty of photographs of Melbourne graffiti and street art on a daily basis and Arty Graffarti does review street art exhibitions. I met some of the people behind Melbourne Street Art on Facebook at the Blender Studios Christmas Party – that was a great party, art, music, open studios and fantastic people. It was an excellent way to end the year. 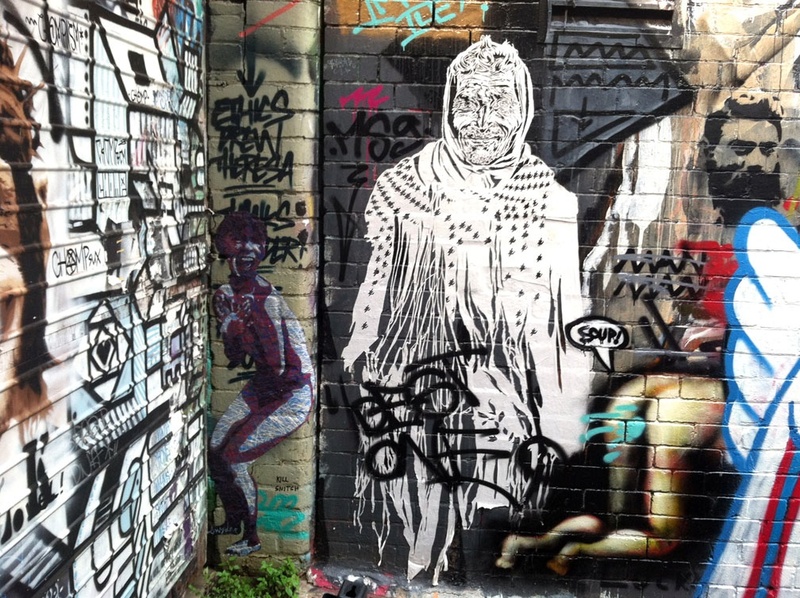 Between Christmas and New Year most of the galleries in Melbourne are shut but there is still plenty of great art to see in Melbourne’s laneways both the official, Melbourne’s Laneway Commissions, and unofficial Melbourne’s street art. 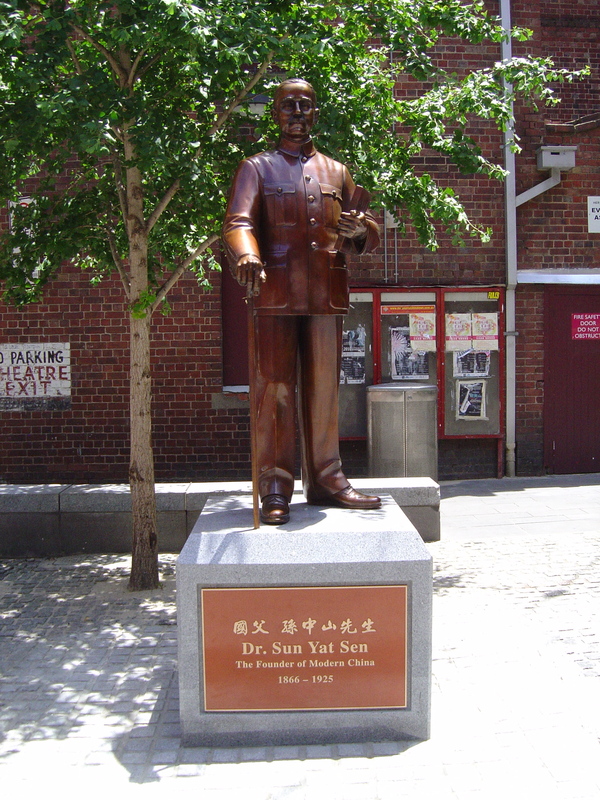 When I was in Chinatown I found Yhonnie Scarce’s “Iron Cross” in Brien Lane. 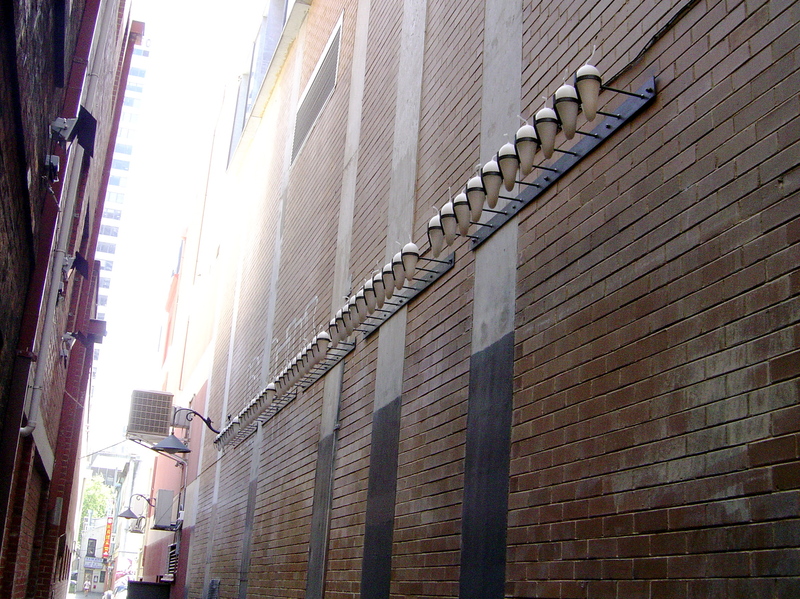 It is a symbolic memorial to the 50 years that her family’s life was controlled by Christian mission where “they were told what to wear, how to speak and when they were allowed to leave the settlement.” This year the Laneway Commissions were all by contemporary Aboriginal and Torres Strait Islander artists. Near the beginning of this year I re-branded this blog to “Black Mark – Melbourne art and culture critic”. It wasn’t a very painful process except when it came to being indexed by PANDORA, Australia’s Web Archive; for some reason the name change caused lots of confusion there. I would like to thank everyone who has read Black Mark and especially Evangeline Cachinero, Peter Symons and Catherine Voutire for their help and encouragement over this year. Looking forward to 2012. Happy New Year everyone.